What Does the Bible Say About Body Image? The Bible, body image woes, and the diet cycle. In a world of superficial focuses and fixes, what is God’s plan for your life? Learn how to end the crazy cycle and find freedom through Christ, for good! There you are, walking through the mall having a lovely time with your family and then suddenly– none of that matters anymore. Your smile has faded as your focus shifts inward. You just walked past Victoria’s Secret. And, apparently, “her” secret power is making other women feel pretty crappy about themselves. WHAT IS “BIBLE BODY IMAGE”? 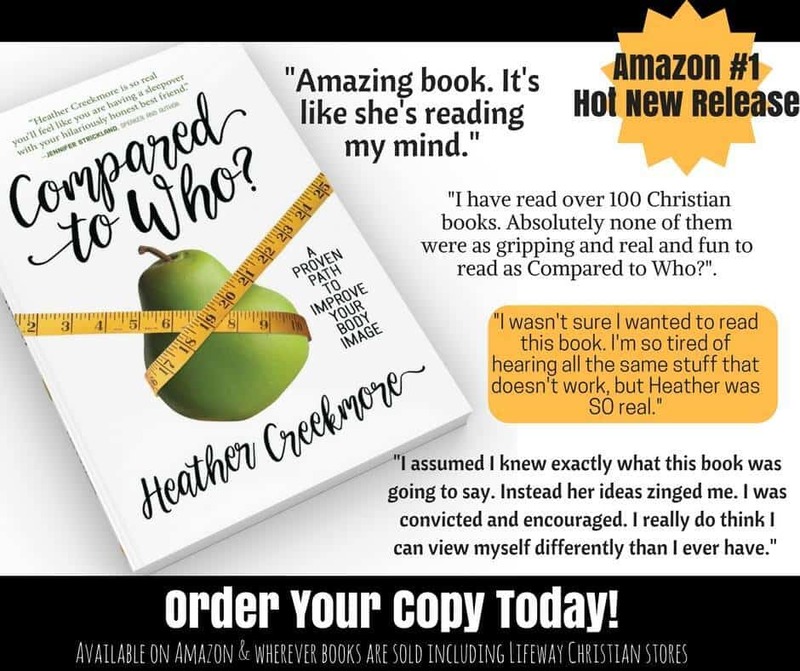 I am thrilled to welcome Heather Creekmore from Compared to Who? 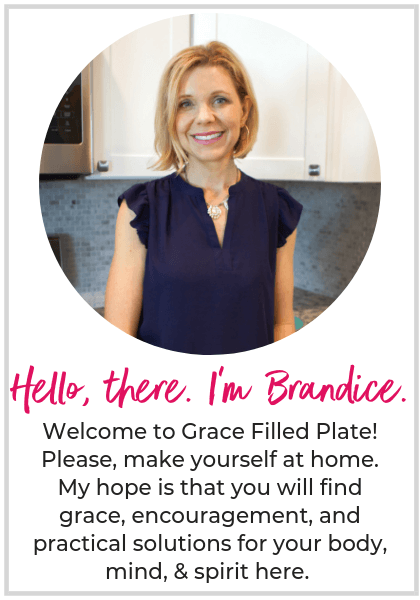 to Grace Filled Plate. In this video, she will share her top tip for breaking the diet cycle and fixing your body image for good! The fix is our FOCUS. What and who (or should I say “whom”?) are you listening to? What or who are you looking at? You see, the solution isn’t to think more of ourselves or to think “less of” ourselves but to think more of Him. Because when we spend our time looking in the mirror we fail to mirror The One who changes lives. Pay attention to the time and energy that you spend wrapped up with “what’s on your plate?” and “what’s happening with your appearance?”. Don’t judge. Please don’t get frustrated with yourself. And, absolutely no name calling. Now imagine what would happen if you took just 10% of that time and energy and put it into the things of God. What amazing things could He accomplish through you? Brainstorm 3 ways you can begin to make that shift. Then, determine one idea you will take action on today. We live in a world that overvalues physical appearance and it’s difficult not to get caught up in the madness. However, the solution is simpler than we think– turn your mirror towards heaven! Heather is passionate about helping women struggling with their body image. 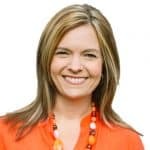 She’s a group fitness instructor, author, speaker, mother of four, and wife to Eric (a Marine fighter pilot-turned-pastor). During her single years, Heather spent more than a decade working in politics and non-profit management. She much prefers being a stay-at-home and homeschooling mom (but thinks it’s more difficult!). Follow her blog about body image, motherhood, and faith “Compared to Who? “.